Arthur is despairing at Maggie's increasingly eccentric behaviour and constant memory lapses, but cannot be sure if they are shrewd tactics to keep him at home. He finds himself responding to the urgings of family and friends to put Maggie in a home. 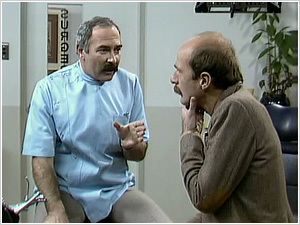 Note: Garry McDonald was born in 1948 making him 35 (the same age as his character) when these episode were filmed in 1983. Ruth Cracknell was 58. Arthur is several hours late for work and frantic waiting for his absent-minded mother, Maggie, who just popped out for some milk three hours ago. 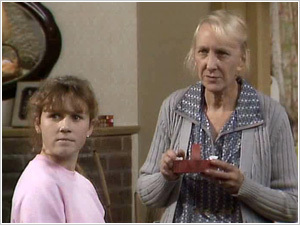 When she returns, still without the milk, Arthur finds out that Maggie has been receiving Meals on Wheels for six months under the false pretence of having a broken wrist. Arthur manages to confuse the situation and next day is assessed by a social worker and is also identified as being in definite need for Meals on Wheels. 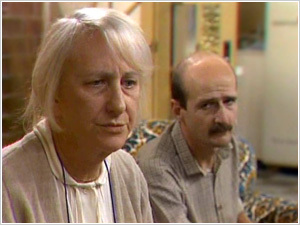 When Maggie arrives home in a garbage truck, Arthur, concerned for her welfare, asks his brother Robert for financial assistance to hire someone to look after her during the day. When Maggie is then arrested for shoplifting, and Arthur and Robert must find out a way to prevent her from being sent to jail. Arthur, desparate for a break from Maggie, plans a two week holiday with a new girlfriend to exciting Wellington, New Zealand. He keeps it secret from Maggie lest his plans be foiled but a series of misunderstandings leads his ex-wife Deidre to believe he wants to take her on the holiday. While Arthur's girlfriend is waiting outside in the car, Robert steals her from his brother by promising to take her on a trip to Noumea. After spending several Saturday nights at home with Maggie, Arthur questions why he does not have a girlfriend. So he makes a date with his ex-wife, Deidre, prompting Maggie to inform him she hates being left alone at night. 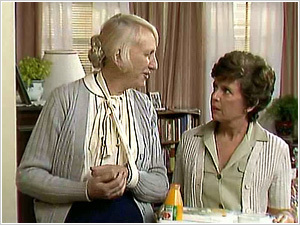 Arthur arranges for Robert's babysitter to look after Maggie, but Maggie scares the sitter away and she and Arthur quarrel. He still goes out, but so does Maggie and she ends up at the same place as Arthur and Deirdre. Note: young Marianne Howard's future son Bensen Jack Anthony is one of the stars of the 2015 drama series 800 Words. 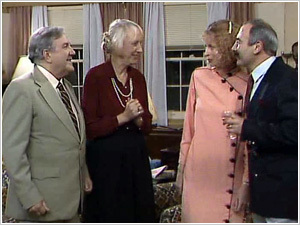 It is Maggie's birthday and the entire family gets together to celebrate but Arthur is shocked to discover there will be an additional guest — her boyfriend. The ensuing dinner party is full of surprises. 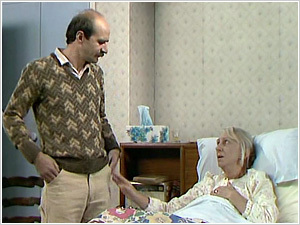 Maggie has convinced herself she is dying and is trying to pursuade a few others, including Arthur who is threatening to move out. Maggie is determined to settle her will and make final arrangements. Hilarious moments arise as Maggie summons everyone to her bedside.